How can companies with multiple offices unify their culture with a global event? If you work in a global organisation, the challenge of creating a unified culture that involves your workforce all around the world will resonate with you. Chances are you’re already taking steps in the right direction, by getting team members to visit different locations, setting up shared internal communications platforms or updating the whole business about the performance and achievements of all offices. Our latest Global Business Update (GBU) was the first we streamed live across our global offices, bringing together our London, Plovdiv, Skopje and New York teams. 200 employees took part, and a team of more than 10 people got involved to engage their colleagues in the run-up to the GBU. It was a great opportunity to unify our culture across the globe, so here's a few tips we’re keen to share with you. 1. Choose a theme that resonates with your entire workforce. While throwing a Thanksgiving party in your US office is a great idea, you might want to think twice before having one at a European branch. Sure, your overseas colleagues may be delighted to celebrate with you - but how much does it really mean to them? 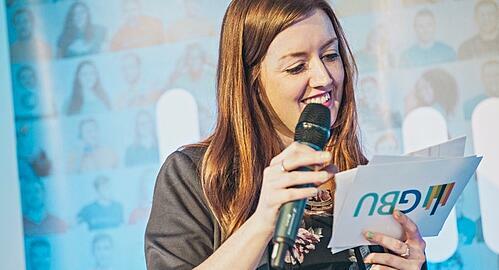 Whether you want to celebrate business successes, hold a competition or activity day, or whatever it might be, your event needs to reflect the employer brand your team members trust and recognise. For our GBU, we went for a “fireside chat” in a room with the look and feel of a chalet, to kick off the new year in an informal, relaxed setting. All over the world, January is the month of reflections, resolutions, and struggles to resume a busy routine after the festive period - everyone appreciates a chance to slow down and get cosy for a few hours! 2. Build a global team to create a seamless experience. Help you turn your theme into a successful event. The more diverse the people involved, the better you will understand any constraints or cultural differences you need to be aware of. 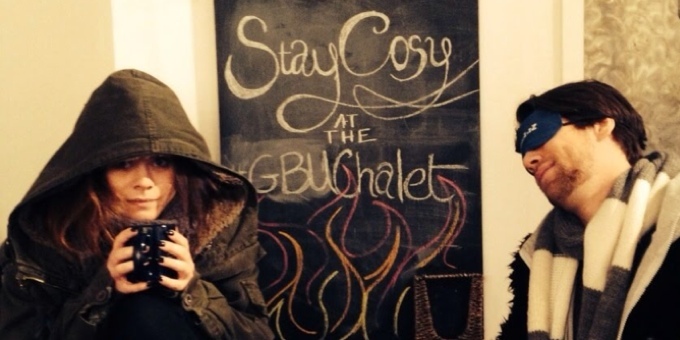 Our Australian team is always a day ahead, and their January isn’t quite as cold as in the Northern Hemisphere - so they scheduled their GBU a week later, and had refreshing chocolate lollies instead of warming hot chocolates! Help you get ready for the event. Whether you want to decorate your offices, give employees goodie bags, or hire venues in each country, having people who take care of logistics in each site will make the organisation smoother (and costs much lower!). Engage colleagues through word of mouth. Team members based remotely are more likely to trust the people they work with every day, than pay attention to a set of written instructions on an all staff email. What’s more, word of mouth is also the most effective way to overcome any language barriers you might otherwise encounter. 3. Spread the word and create some buzz. Pick your favourite channel for communications across all sites, and use it to spread the word. Whether you have an Intranet everyone visits, email distribution lists, or noticeboards in all offices, chances are you have a wealth of resources available. If your employees are active on social media, and use it to share posts and pictures with their colleagues, that’s even better! Organise teaser events in each of your offices, and get everyone involved in activities that match your main theme. By speaking with colleagues while doing something fun that strays from the usual working day routine, your global event team will be able to get others on board more easily. 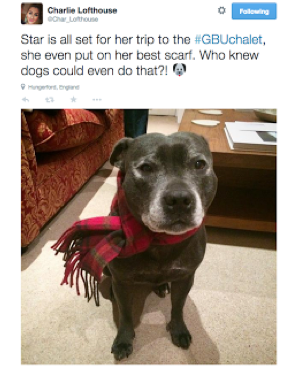 We published daily updates on our company Intranet, encouraging people to share photos and thoughts on Twitter and Instagram through the #GBUChalet hashtag. We also organised a global Hot Chocolate Day on the Wednesday afternoon before the GBU, to help everyone understand the event theme and take part in the activities we organised on the day. 4. Make technology your best friend. A global event doesn’t need to involve complicated travel arrangements to get everyone to one location. With the help of technology, you can get all participants involved at the same time, no matter where they are and at no cost to your business. Use social media platforms like Twitter to kick off real-time conversations. Show a live feed of the event on screens in each site, or encourage people from all over the world to ask questions and make comments with a dedicated hashtag, and you’ll give everyone, near or far, a chance to share thoughts and memorable moments. Use free video conferencing software to bring everyone together. In this day and age, it might sound like a no-brainer; however, the thought of setup times and technical glitches might put you off trying it on a large scale. We did it, and it was a success: live streaming allowed our London, New York, Plovdiv and Skopje teams to take part in Hot Chocolate Day and the GBU in real time, and share their experience far beyond their local offices. 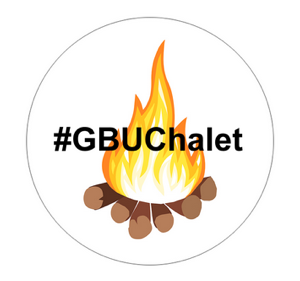 We learnt a lot from our #GBUChalet experience, and we hope our insights will inspire you to organise your very own global event. Cementing relationships in an informal, social setting can give your efforts a real boost. By putting faces to the names people see on emails and intranet announcements, you can build a more close-knit, engaged team that will enhance the success of your business. Do you have any ideas you’d like to share, or examples of initiatives you’ve organised that reflect the unified culture at your business?